The other night my three-and-a-half year old granddaughter asked me to put on “The Lion King”, so I did. Then she wanted me to watch it with her, which I also did. As I lay on the floor, she curled up next to me and laid her head on my shoulder as we watched it together. You can’t get much better than that! As we watched, my mind swirled back to 1994 when my wife and I, on a Family Home Evening night, took our five kids to the movie theater to view “The Lion King.” It seems like yesterday! 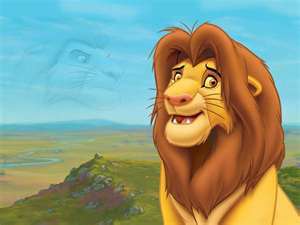 Simba learned that the Hakuna Matata lifestyle was easy and carefree, but it was also a life of emptiness, which in the end produced unhappiness and disappointment. May we live lives of service to our families, and to our fellowmen! « The Closest Any Man Will Ever Come!